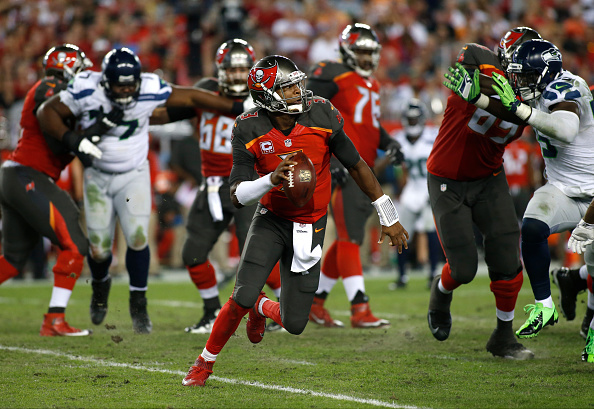 Jameis Winston threw a pair of touchdown passes to Mike Evans and Tampa Bay’s rejuvenated defense shut down Russell Wilson and Seattle’s sputtering offense to beat the first-place Seahawks 14-5 on Sunday. The Bucs (6-5) have won three straight to climb back into contention for a playoff berth. In addition to stopping Seattle’s three-game winning streak, they remained one game behind first-place Atlanta in the NFC South. Playing two days after the death of his father, Verner picked off Wilson to stop a promising drive in the final minute of the opening half. The reserve cornerback was embraced on the sideline by teammates, who continued to play inspired defense in the second half.